Typical JK's talk...absolutely earnest and compassionate...but ?...can this be offered to all?will they take it?...JK takes up this and related questions in the video ...it is essentially about shraddha. Elsewhere JK has also said that it is not work that dulls the mind as much as the resistance to it(I have paraphrased). So...we may leave it to the person who raised the topic under discussion here...whether this sort of a fare meets his requirement...We may rejoice if it does. I did not read sadhak's full reply, but his replies looks very similar to straight point self enquiry practice as recommended by sadhu om of ramana maharshi school only. This person JK is so confusing, if I read his work for 2-3 minutes, I will bound to get sleep. I am not joking. it is literally so confusing, dry and without any inherent power. self enquiry is all about recognizing the ego and egoistic functioning...and what JK is wonderfully pointing out is no different than what Bhagavan is pointing...in fact JK shows the mirror for one to see the workings of the ego...and if we can do it earnestly and unflinchingly we will clearly perceive the hollowness of the ego and the futility of all strivings based on that...but then it requires tremendous earnestness and courage to do this...and the question truly is this....whether one has this earnestness and courage....this is Shraddha and although we may tend to think we have it the fact may be otherwise. The question then is how to discover the shraddha...the answer to that may be 'satsangha' or the company of those who have it in full measure. அன்னியத்தை நாடாதிருத்தல் வைராக்கியம் அல்லது நிராசை; தன்னை விடாதிருத்தல் ஞானம். உண்மையி லிரண்டு மொன்றே. Not seeking anything other than the self is Vairagya;Not letting go of self is Jnana.In Truth, both are one. The self attention that Sadhu Om or anyone else is saying is possible only if the vairagya is there...and JK is showing why there is no TOTAL Vairagya....on account of the clinging of the egoistic way of our life style...How we cling to relationship,to money,power,status...This is very very important for any seeker to understand totally...and JK goes into this like no other sage has done....over and over again...He is truly wonderful in pointing out all this...and the earnestness that he displays in checking with his listeners whether they are with him in the exploration is tremendous...truly a one of a kind human being(why brand him a 'Jnani' ?...that seems to be a needless badge!). If one can stand up to what JK is pointing out ,one may walk free!...yes ...'IF' in capital letters. Just keep an open mind and watch the videos that are posted here....Do not expect anything out of that...enough to just listen to what he is saying...and see if there is anything in that you are comfortable to deal with or seems beyond you. I do not have any difference with you fundamentally about self enquiry...the difference is as regards any auxiliary aid that one may resort to...you tend to think that none of that would help or would be of little help ...and I am saying that they are necessary for a vast majority who do not have the maturity to measure up to the earnestness that is needed for true self enquiry. It is beyond the causal process. Nothing can compel it, nothing can prevent it. that it distorts everything for its own convenience. Believe me, you need nothing except to be what you are. You imagine you will increase your value by acquisition. It is like gold imagining that an addition of copper will improve it. Elimination and purification of all that is foreign to your nature is enough. Today, I reached the hall at about 3 p.m. Bhagavan was at leisure, answering questions asked by some devotee. One of the questions was: ?Swami, they say that japa and tapa performed in the presence of Bhagavan yield greater results than usual. If so, what about bad actions done in your presence?? Bhagavan replied, ?If good actions yield good results, bad actions must yield bad results. If the gift of a cow in Benares yields great punya (virtue) to the donor, the slaughter of a cow there result in great papa (sin). When you say that a little virtuous action done in a holy place yields enormous benefit, a sinful action must likewise yield enormous harm. So long as the feeling that you are the doer is there, you must face the consequences of your actions, good or bad.? ?There is the desire to discard bad habits but the force of the vasanas is very strong. What are we to do?? that person continued. ?There must be human effort to discard them. Good company, good contacts, good deeds and all such good practices must be acquired in order to eliminate the vasanas. As you keep on trying, eventually with the ripening of the mind and with God?s grace, the vasanas get extinguished and efforts succeed. That is called purushakaram (human effort). How could God be expected to be favourable towards you without your striving for it?? said Bhagavan. Another person took up the thread of conversation and said, ?It is said that the whole universe is God?s chidvilasam and that everything is Brahmamayam. Then why should we say that bad habits and bad practices should be discarded?? Bhagavan replied, ?Why? I will tell you. There is the human body. Suppose there is some wound inside it. If you neglect it, on the assumption that it is only a small part of the body, it causes pain to the whole body. If it is not cured by ordinary treatment, the doctor must come, cut off the affected portion with a knife and remove the impure blood. If the diseased part is not cut off it will fester. If you do not bandage it after operation, puss will form. It is the same thing with regard to conduct. Bad habits and bad conduct are like a wound in the body; if a man does not discard them, he will fall into the abyss below. Hence every disease must be given appropriate treatment. My point was that so called aids may be of some help initially for a few but they turn out to be a prison if one gets stuck in them forgetting the goal of self enquiry. I have seen it everywhere for decades. It may be helpful to read the articles on Cycle Swami (Ramaswamy Pillai) posted under The Human Gospel of Maharishi. The danger of the vasanas created by pujas etc are clearly mentioned. Sure my generation (and earlier ones) were given many aids by elders even by the age of five. 2. Listen to suprabhatham daily. 3. Visit Perumal temple daily during margazhi month. In other words a compartmentalized life made up of a few minutes of 'aids' and the rest of 'unavoidable material pursuits'. While Advaita, Buddhism, Krishnamurti, and of course Bhagawan make good reading there is very little if any self enquiry and the laundry list of aids had occupied ones mind and time.
" I am saying that they are necessary for a vast majority who do not have the maturity to measure up to the earnestness that is needed for true self enquiry." Constant justification and reinforcement is often part of the problem. I would not worry about majority and minority or what maturity means when we have not started to even look at the causes preventing our own self enquiry. The original question was on material pursuits and sadhana. And not surprisingly it veered to 'doing' and 'not doing' this or that. The issue of the 'doer' is not addressed. Yes I am not trying to differ with you at all. And there is no offense taken even should you differ strongly. "My point was that so called aids may be of some help initially for a few but they turn out to be a prison if one gets stuck in them forgetting the goal of self enquiry. I have seen it everywhere for decades." I am aware of this...and if yesterday it was 'Sandhya'...today it is 'self enquiry' added to that list...Nothing avails if there is no shraddha....Yes part-time sadhana is as good as 'No sadhana' only.
" The issue of the 'doer' is not addressed." Very true...I intend addressing this in this thread as well as in the 'Practical Hints on the sadhana from The Gospel of Sri Ramakrishna' thread. The topic in this thread comes up over and over again in this forum and a new thread gets opened every time ...it would be a nice reference to have posts consolidated under one thread...so that it may be easily referenced and put to use. It will also help if people come back here to share their learning and share how they have moved ahead (hopefully)....so that it would be beneficial for any other person facing a similiar problem. Anyway,I do not consider the time spent here as wasted...whatever I am posting here at least helps one person...myself...and I am thankful for the opportunity to reflect on the teachings of the great ones. Definitely not a waste ir-respective of whether people reply to your posts or not .I know of people who read through the various posts but do not reply or share ( it is not everybody's nature to express in writing what they feel ) but have acknowledged to me during my discussions with them that they have found many of the content ( the posts , quotes , discussions etc ) valuable here for their own self introspection . I consider this online forum as a sort of satsang itself and going through the posts here has helped me introspect on my own beliefs , opinions etc . So continue sharing . I am sure the quotes/videos of Krishnamurti, Nisargadatta, etc are useful. But rather ironically after more than half a century of so called religious pursuit I only find one saying of Krishnamurti to be relevant these days. Which just shows my inability to even start self enquiry. "I have followed all these old paths of discipleship, of worship, and I see that they are much too long, too complicated, unnecessary -because whatever path you may follow, whatever god you may worship, whatever shrine you may build, you are forced at last to come back to yourself and solve that self." "I am aware of this...and if yesterday it was 'Sandhya'...today it is 'self enquiry' added to that list"
Self enquiry cannot be on a 'do' list or 'don't do' list since it is an enquiry into the doer of such do's and donts. In any case to the best of my knowledge I don't see anybody ready for it. Which is why it may be important to understand the causes preventing it. Thanks for your kind words...I have not alluded to any lack of response to 'my' posts...have only stated that if there is a continuity maintained by way of a response from those who have expressed difficulty or a problematic situation ... how they have subsequently overcome or outgrown the same and their learnings...that would be beneficial to others who are caught up in a similiar situation ... i do know there are quite a few such people. As the saying goes in tamizh 'கரும்பு தின்ன கூலி வேண்டுமா ? '( does one need wages to eat sugarcane? )...If the posts with excerpts from the sayings of great ones is of help to someone, it is just the good karma of that person and the grace of the divine that enables him to find whatever is good in it...I have nothing to do with that. There was a good deal of enthusiasm and participation for the Tiruppavai thread...I have not continued it for some reason...so it is not something that can be done because one 'wants' to do it or one 'likes' to do it...it has to wait. My comment was meant for all people who post here and I feel everyone's contributions here very useful . Sometimes I go through old posts and feel refreshed reading them once again . In this regard I wish to share a personal experience to prove that positive impact of these sharings . Apart from this forum I keep sharing some spiritual thoughts , quotes etc with a close set of people ( family and friends ) by email , FB , Whatsapp and while everyone reads the same only very few respond ( but they do say when I meet them personally that they read my posts ) and I send it not just for others to read and get inspired but it must serve as a reminder to me also . During one such instance I shared a life style which a serious spiritual aspirant must adhere to and it was a list of 12 points and equally applicable to all people world wide ,ir-respective of the Religion they belong to ( I have also shared it here ) and I sent it by email to the group of my close friends/family members and that day evening I got a Phone call from my friend thanking me for sending the same as that Message really hit him hard and really woke him up . He is a very deeply spiritual person but then suddenly became very Tamasic and lost track and took to excessive watching of TV ( not just watching the news or once in a while the Cricket matches but the non stop mindlessly watching to the extent it became an uncontrollable habit ) and in the message that I sent the first Point was "Stop watching TV etc " and he felt it was a big wake up call and realized how much time he had been wasting on watching TV mindlessly ( Note : I am not against Watching TV but it must be in our control and the TV must not control us ) and he decided to cut down on his watching TV from that day and he felt that my message really hit him hard and it was a nice wake up call for him . I have also had my own wake up calls from many such messages that I read in this forum and at other FB pages that I have subscribed . So in conclusion : Keep sharing the messages and it does make a positive impact with people whom we would have never met ( as the messages get shared and passed on ) . This is also a form of satsangh ( Online satsangh ) . "Self enquiry cannot be on a 'do' list or 'don't do' list since it is an enquiry into the doer of such do's and donts. In any case to the best of my knowledge I don't see anybody ready for it. Which is why it may be important to understand the causes preventing it." Please go through my posts ...i have said the same thing and have given excerpts from The Gospel of Sri Ramakrishna ...I have covered everything regarding the subject matter. I have used the word 'Shraddha' over and over again...and please also check the ' 'Practical Hints on the sadhana from The Gospel of Sri Ramakrishna' thread (the latest post) where I have already taken up the 'doer' and 'doing' paradigm that you have raised in your previous couple of posts...you have mentioned "The issue of the 'doer' is not addressed." You tend to think that Sandhya and other practices should figure in the 'to do' list ... and you are differentiating self enquiry as belonging to a different category....and you have talked about the futility(or close to it) of your pursuit of religious life over the years. 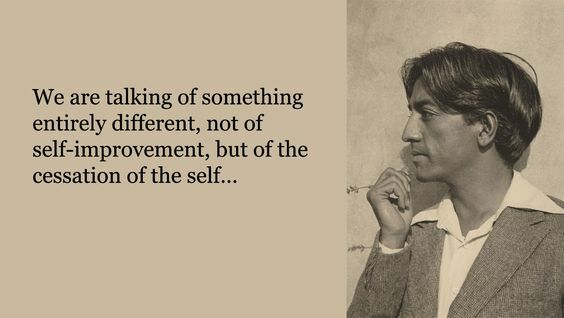 But rather ironically after more than half a century of so called religious pursuit I only find one saying of Krishnamurti to be relevant these days. Which just shows my inability to even start self enquiry. Please go through my posts again...I have completely understood your position right at the outset...I have pointed out to precisely this point when I referred to JK ....How his teaching has impacted you ....nothing wrong with that...To each one ,the way is in accordance with his nature. All these are resolved if we grasp the significance of the word 'shraddha' and this is what I intend going into, in this thread...and it will take some time to cover this...please bear with me and I request you to take a holistic view of what I am putting on the table...piecemeal analysis would break the flow of what we are going to go into. When do we put something on the 'To do' list?...We do not put breathing,Drinking and Eating on the 'To do' List...They are essential and hence not 'optional'....They are part of our Living...they meet the fundamental requirement to preserve life....that is 'my' life...and we take 'utmost care' that we do not run short on these...This 'Utmost care' and "attention' is Shraddha. If Shraddha is there in doing something we Live it.... and if it is not there we say we have to 'do' it either willingly or unwillingly...it then becomes a burden if for some reason we are compelled to carry on that 'work'....so where is the center of focus here?...Again the 'I' and 'me'...so,it is clear that the 'I' and 'mine' is always the center of our activities...and this is termed as the 'egoistic' activity. There are activities which drag us outward and Shraddha is required for those also to make progress in that direction....This is the so called 'Material Pursuit' and even here,we may 'Live' it or 'Drag it' depending on the degree of Shraddha at play. At some point in one's life,one tends to realize that the 'outer' excursion is meaningless beyond a point and that peace,contentment ,freedom from the rat race etc are also needed...and one tends to strike a balance between these two conflicting objectives...and one then turns to what is popularly termed as 'Religious Life' or 'Spiritual Life'...and this again depends on the very same Shraddha...If it is there we 'Live' it or else we 'Observe' practices or 'Do' practices...and the efficacy of the same is determined by the Shraddha that one brings to the table. The Key question is this...If one is short of 'Shraddha' in his so called 'Materialistic' activities(we can hardly call that 'living'),how can the person bring in the much needed Shraddha in his so called 'spiritual' activities?....If one is lacking in Shraddha,that is it....period. There is simply no question of Shraddha being divided between the so called 'Material' and 'spiritual' Life....Priority is a different issue altogether...Just how it is different? One may accord priority to 'material Pursuit'... and 'Spiritual Pursuit' is on a 'as and when possible' basis...but there cannot be any let up in Shraddha in either direction...without it there is no possibility of fulfillment(in the ordinary sense of the term) in either sphere...one cannot be called a sadhaka as long as this sort of a priority is accorded but in any case Shraddha is still called for...so that over a period of time (sooner or later) a switch in Priority can take place as soon as the material objectives are by and large met. A Sadhaka is one whose Priority is in the spiritual dimension and the material sphere is an appendage to the former that he carries on as per the lifestyle and vocation ...He Lives his conviction and does not merely 'do' the Spiritual practices. Summary: Shraddha=Living and Lack of Shraddha=Doing. I think i understand what You mean. Few days ago i was in similar dilemma. We read so much about this subject,about Reality and all the paths that lead to it,and with time we overload ourselves with so much information,so much contradictory things and teachings,etc,etc. Pondering over that i realized i put God,the Self,the Supreme,what ever name we give it it does not matter,in just a few words. Something so rich and wonderful i put in a few concepts,and i wonder where i made mistake. And in my case,that was it. Reading all this i simplified God so much,that He lost all beauty. Simplified in the wrong way. Now i understand all the Masters when they say it cannot be explained. It simply cannot. However beautiful word we use is it not enough. The mind puts it in some frame,in some concept,and in reality that does not mean a thing. Those are just words,just mind which is not able to capture something which is beyond it,and beyond its knowledge. So,however we know,it is useless in the end. And ultimatievly,it is all lie. 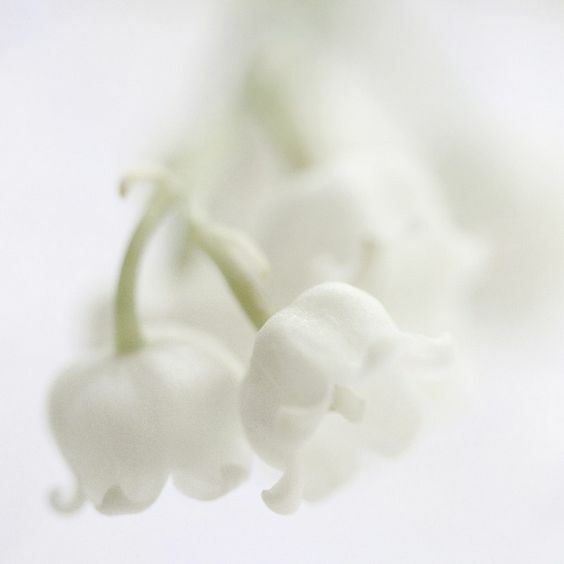 How can something so wonderful and great,something which holds in Itself million of galaxies,so much life,and even the wonder of birth itself,to be named or made into some concepts. How can the mind ever understand such greatness! God,the Self, must be,and it IS something much much much much more Greater! Many times i came to the point i cannot do anything anymore. I become irritated and tired,and every time that proves to be just the faze which than brings me even greater blessings when it pass. I think we all are going through such periods,and they are many times the good sign. There is also a time for rest,apparent rest. And when that is not the case,i know i am wrong somewhere. There is one saying of Rumi which stayed with me till now,and that is 'When we are not feeling energetic and in awe,when we feel dull.we missunderstud some teaching'. That is my guidance these days. So,for me,there must be a place in our hearts for Miraculous,for the Wonder and Awe,for the Unknown. Always! And just to add,i also see this forum as Satsang,and i am sure nothing goes to waste here.